The Federal Point Historic Preservation Society held its monthly meeting on Monday, January 18 at 7:30 pm at the Federal Point History Center, 1121-A North Lake Park Blvd., adjacent to Carolina Beach Town Hall. 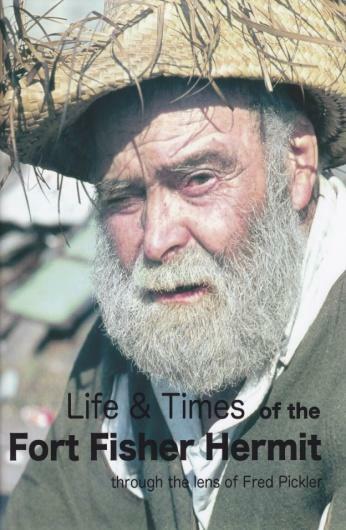 This month’s speaker was Fred Pickler, the author/illustrator of the new book The Life and Times of the Fort Fisher Hermit: through the lense of Fred Pickler. Fascinated by the Hermit since his Boy Scout years, Fred has had a varied career in trucking, law enforcement, and sales of international arms. With Life and Times he returns to his roots and presents a photographic tribute of one of the area’s most “original” residents.